Farnborough – 7 February 2017 – Datum Datacentres today announced that for the second year running, the company has exceeded its targets, with its ongoing expansion supported by two further appointments. Datum’s highly secure and resilient data centre houses clients that range from multi-million pound global corporations to small but ambitious IT start-ups. From public safety and security to international insurance, financial services, global cyber security, online payments, defence and engineering, each and every client benefits from a transparent partnership, responsive support and a client-first approach. Datum’s Concierge service has proved its worth many times over in smoothing client transition into the data centre and working with them to ensure the co-location provision properly supports their business. The client first approach extends to every member of the team, and Datum is delighted to welcome Lee Roberts to strengthen the Sales team and Joanna Terka as Datum’s new Finance Manager. Lee brings a wealth of experience understanding client needs with a well-known technology business process management and consulting organisation where he spent most of his time project managing the move of co-location customers into data centres, and Joanna has already demonstrated a keen grasp of the business. Datum delivers service-enhanced co-location from its highly engineered secure FRN1 data centre within the ListX Cody Technology Park in Farnborough. 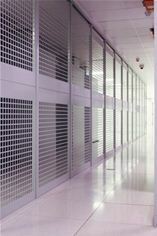 The connection-rich facility is carrier and cloud neutral with latency to the City of London of less than one millisecond.